IOT Group Limited (ASX: IOT) and California-based NetObjex Inc. have entered into a Strategic Alliance - Teaming Agreement and Marketing and Referral Agreement that will focus on expanding business opportunities around IoT technologies and leverage NetObjex’s flagship Digital Asset Management Platform for applications across multiple industries. NetObjex provide enterprises and technology companies with a comprehensive Digital Operating platform for smart devices, enabling the development of solutions that collect and gather valuable data in real time. It services industries including Transportation, Manufacturing, Supply Chain and Logistics, Tourism, Property, Media, Healthcare and Smart City ecosystems. IOT’s particular interest is in NetObex’s Digital Asset Management Platform, which provides advanced functionality in developing IoT data marketplaces where connected products can transact. The platform provides an effective means of asset tracking and tracing along with better tools for measuring performance, efficiency and utilisation. It is currently used in Manufacturing to prevent downtime and protect against counterfeiting; in Supply Chain and Logistics to track and trace ensuring efficiency, optimisation and prevent theft; in Transportation and Automation allowing inter-device communication and smart applications (parking, tolls and drone delivery); and in Smart Cities to allow usage-based billing, reduce waste and measure consumption. 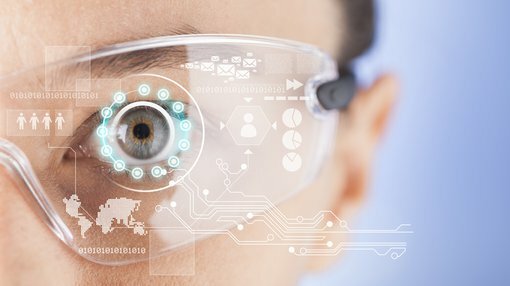 IOT is looking to use the platform to connect its Internet of Things devices for clients, including includes wearables, drones, cameras and other devices. By connecting these devices, companies would be better able to communicate to achieve outcomes such as environmental and energy management, security and automation. IOT will gain exclusive rights to represent NetObjex in Australia and New Zealand on a year on year basis under the Marketing and Referral Agreement. This is subject to fulfillment of key performance indicators and targets. In terms of remuneration, IOT will receive 10% of the monthly payment received from the referral for the length of the contract or product license. The companies will also work closely together in a collaborative sales process to develop business and generate sales globally. “We are excited about this partnership with the ASX-listed IOT Group as it provides an important alliance in terms of establishing our brand in Australia and New Zealand. Both companies believe in a shared vision that the nexus of IoT-AI-Blockchain will transform and shape entire industries,” comments Mr. Raghu Bala, CEO of NetObjex. Mark Roper, General Manager of IOT Group Limited is also buoyant about the relationship.